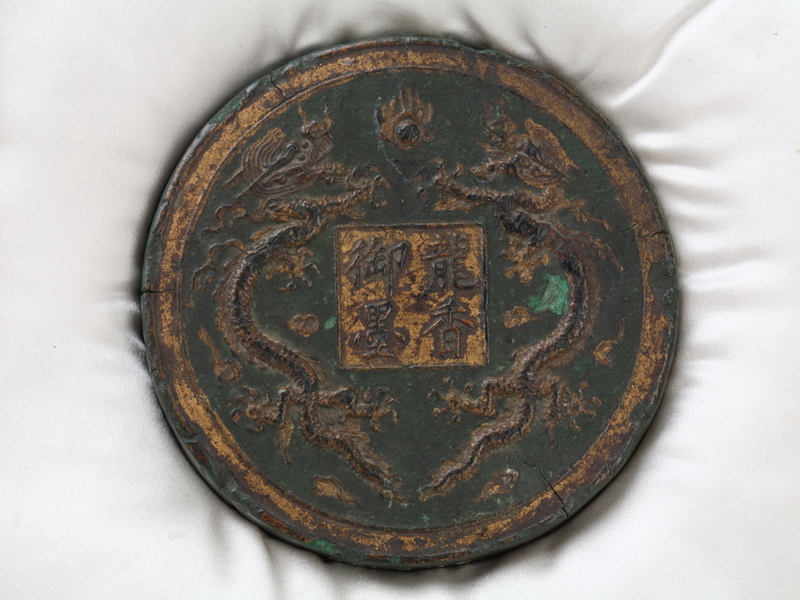 A pair of dragons chasing a peal are depicted in gold outlining on the face of this circular, green-coloured ink cake. The centre of this side features four characters, which read “Dragon Fragrance Imperial Ink”. 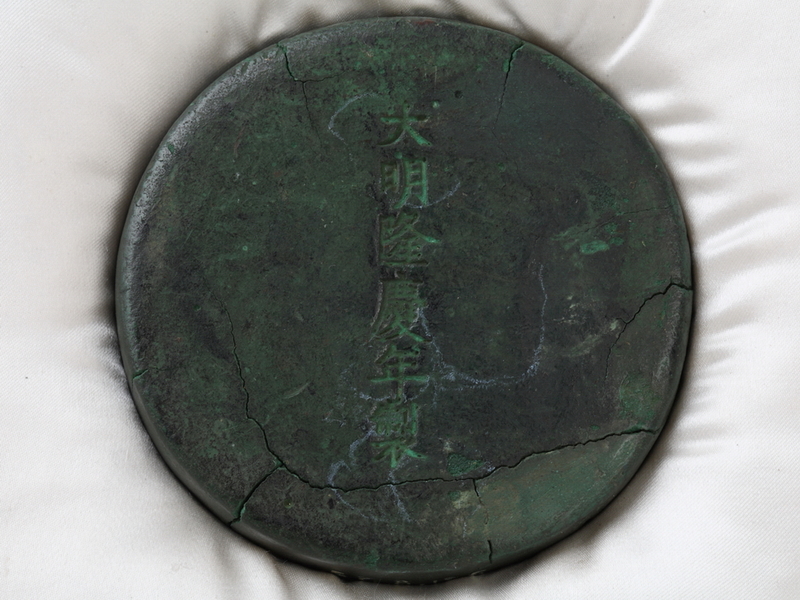 The reverse features a negative legend inscription in regular script, which reads “Made in the Longqing period of the Great Ming dynasty”.